Wolfe Tones, this is The Wolfe Tones version, Celtic Woman and Clannad do a fifferent version. The guitar chords are by Marc Fahrbach. We gaze on just (Bm)Circles - on your (G)Motifs and (D)Bones. Who brought (D)greatness to (Bm)Ireland - the (G)Isle of the (D)blessed. To see (D)standing a (Bm)monument - that would (G)not yield to (D)time. That inspired Irish (Bm)artists - much (G)later in (D)time. With a (G)river of (F#m)beauty with countless wild (Bm)charms. And your (D)passage of (Bm)wonder - a (G)secret re(D)mains. That in(G)spired gene(F#m)rations of men later (Bm)on. 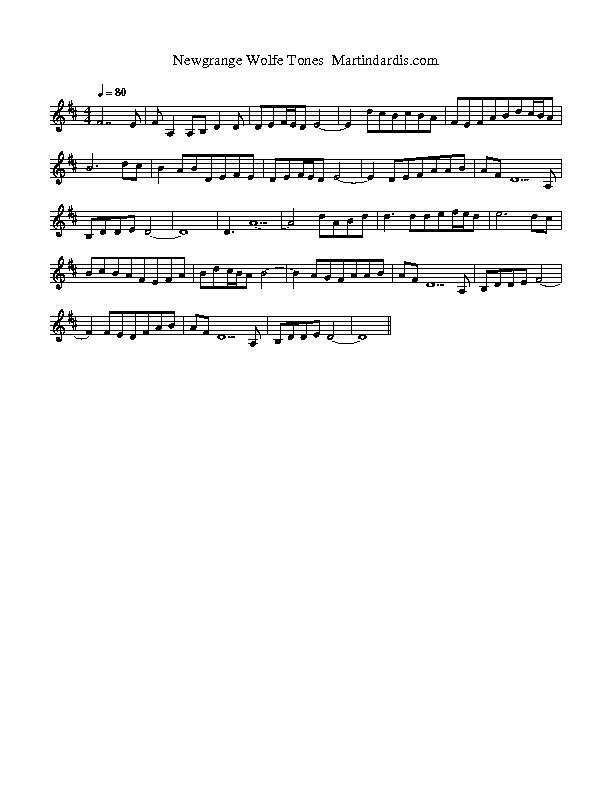 These are the tin whistle notes Jean is playing in the youtube video.